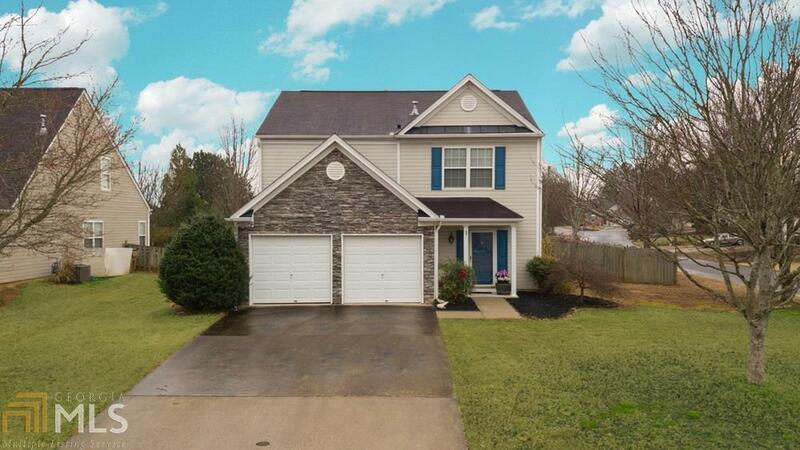 Terrific single family in the highly desirable Hickory Flat school district. Lovely corner lot with fenced yard complete with patios and pergola for outside entertaining! Wood floors on main level. Generous "eat in kitchen" that opens to main family room and additional dining space. Master suite with walk in closet and nice bath. Two additional bedrooms. Freshly painted and move in ready! Conveniently located with easy access to Hwy 575 or 140.